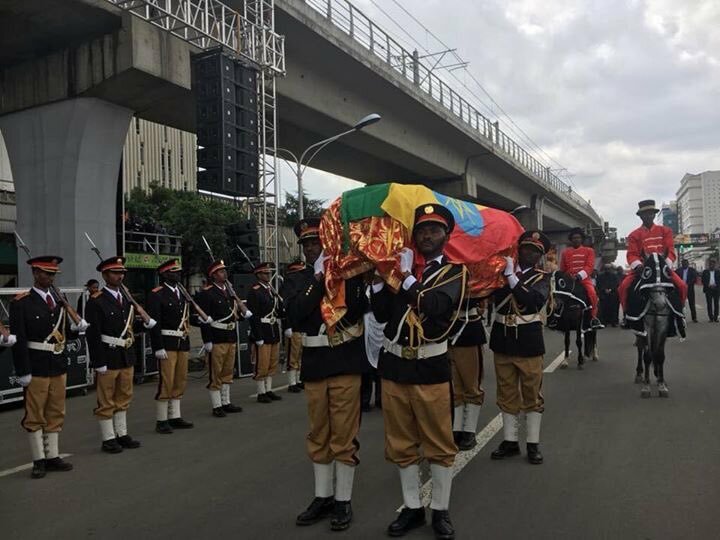 (OPride)—Simegnew Bekele, the renowned engineer tasked with overseeing the construction of the Great Ethiopian Renaissance Dam (GERD) project was buried at Addis Ababa’s Selassie cathedral with national honours. Simegnew died last week. Revered as a patriot who worked tirelessly to see Ethiopian developmental projects bear fruition, the news shocked and saddened Ethiopians. Thousands attended his funeral procession, while crowds flocked to memorials elsewhere in the country. Crowds chanted lyrics denouncing a faction of the government while lionizing the fallen engineer. Minor clashes with police were reported. 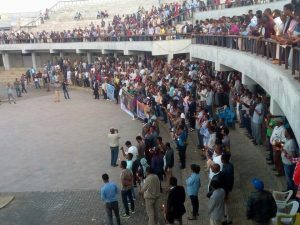 People came to the city’s Meskel Square wearing flags and clothing bearing Simegnew’s image. 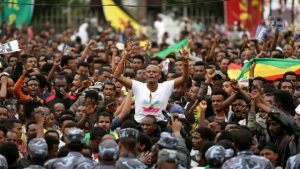 On Wednesday, Simegnew, 53, had been found slumped over in the driver’s seat of his Toyota Land Cruiser in that same Meskel Square district of the capital Addis Ababa. Upon discovery of the body, police quickly cordoned off the area around the vehicle. A police forensics team collected the body as well as a weapon, a handgun, which according to the police commissioner was found in the car to Simegnew’s right. 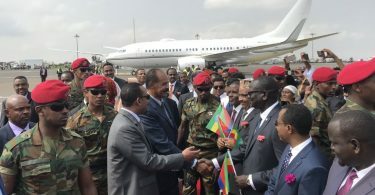 Simegnew Bekele, was well known and made frequent appearances in both local and international media updating journalists on the dam’s progress. 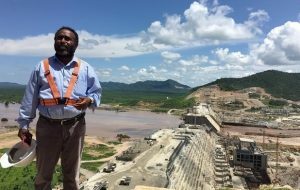 Prior to his being appointed operational manager for the GERD project, he had been part of the management teams for both the Gilgel Gibe I and Gilgel Gibe II dam construction projects. Those projects were completed in 2004 and 2010 respectively. State broadcaster Fana Broadcasting Corporate’s (FBC) footage from the scene appeared to show visibly distressed bystanders looking on. 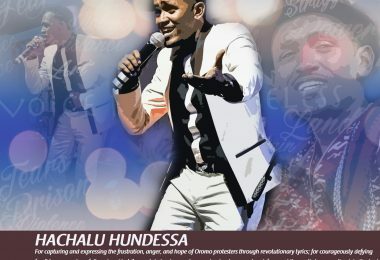 “I’m deeply saddened and troubled by the passing of Engineer Simegnew,” said talk show host Nunu Wako. 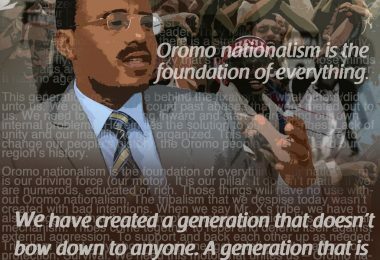 “This is a big loss for Ethiopia. 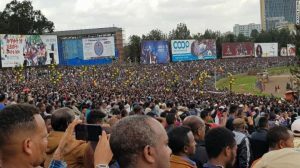 Politicians, activists and renowned personalities were among those expressing sadness and admiration for a man described as a dedicated patriot who made it his life’s work to see Ethiopia’s development. Police stopped short of declaring the death a homicide, saying that the investigation was ongoing. 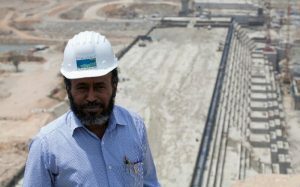 Simegnew Bekele, a native of Gonder and a former lecturer, was often seen sporting a construction worker’s hard hat as he worked around the clock as coordinator of the most talked about dam project in recent history. Despite the dam project being a key source of tension between Ethiopia and Egypt, the engineer dismissed theories that the dam would harm downstream nations such as Egypt and Sudan. He took to media to reassure people that the dam would prove beneficial to all concerned parties and actively called on them to get behind the project. He remained extremely enthusiastic about the project until the very end. It’s clear that many of his fellow nationals believe that he was able to do just that. 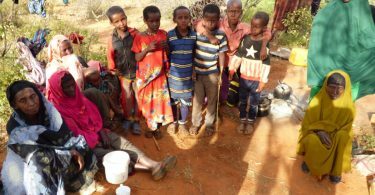 Simegnew Bekele leaves behind a wife and three children.